BASIS Independent Silicon Valley’s Senior Team's outstanding performance in the regular season earned them an invitation to the American Computer Science League All Star contest. Invitations to the All Star Contest are based on cumulative team scores earned at the four ACLS events scheduled over the regular season. 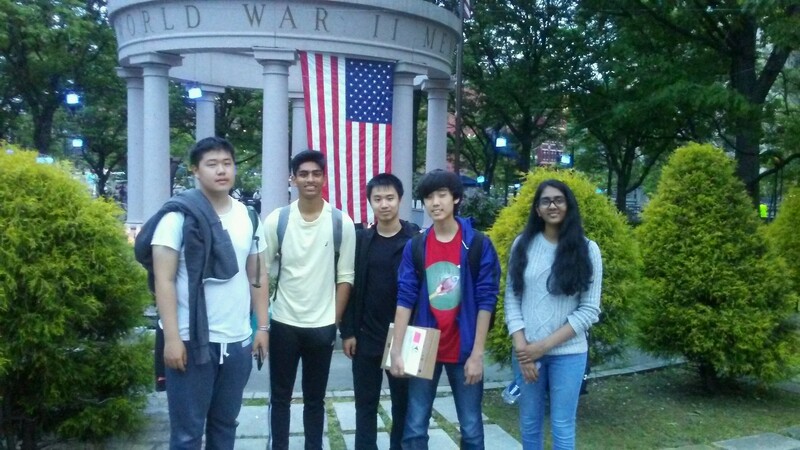 Our Senior team was thrilled to learn that based on their scores, they were heading out to Rhode Island over Memorial Day weekend for the big competition. Our Senior Team, comprised of Aditi V., Akhil V., Colin L., Mingyang W. and William P., represented BISV at both the programming and written All Star. BISV placed 10th in the Senior-5 Division, which is consequently the toughest division, and Akhil V., Colin L. and William P. took home individual awards. Throughout the regular season, Aditi V. and Pranav K. were ranked #1 in the Senior and Intermediate divisions, respectively, in the Western region. Great job, students! Everyone worked hard and made an excellent team. 2017-2018: Oh What a Year!